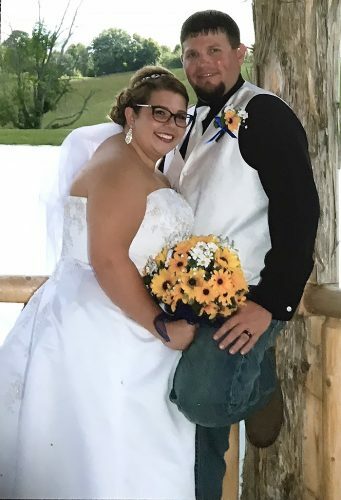 EAST SPRINGFIELD – Jayci L. Davis and Justin E. Alban were united in marriage on May 9, 2015, during a 4 p.m. ceremony in Hutton’s Lodge at the Jefferson Sportsman Club in Bloomingdale. Pastor Steve Anderson officiated. 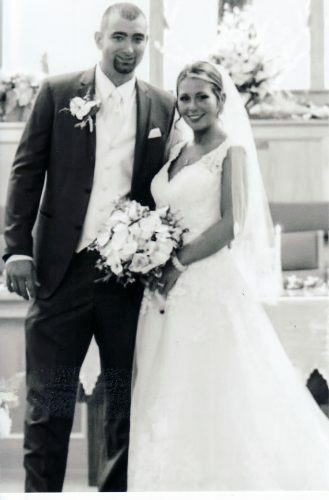 The bride is the daughter of Jack and Karen Davis of East Springfield. The groom is the son of Carl “Huck” and Cindy Alban of Toronto. 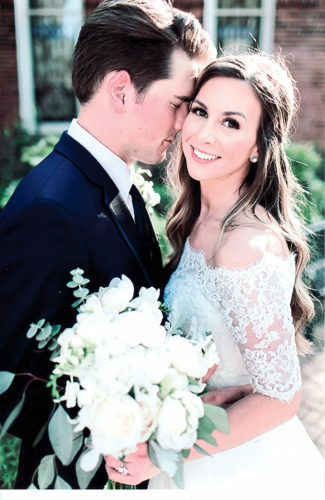 Escorted to the altar by her father, the bride wore an ivory organza gown with a sweetheart neckline featuring lace and sheer illuson on the bodice and back. A crystal beaded waistband completed her dress. She carried a bouquet of miniature sunflowers with baby breath accented wih burlap, lace and lockets. 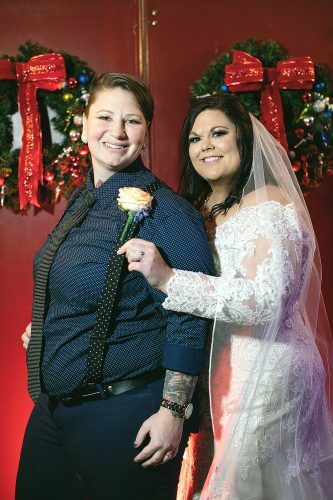 The wedding party included Jill L. Bissett and Jolie M. Ignace, sisters of the bride; Laycee Alban, sister of the groom; and Chelsey Cline. Groomsmen included Kyle and Cody Zimmerman, Evan Rudy and Mike Keller. Liam J. Bissett, nephew of the bride, served as ring bearer. Kinsley Cline was the flower girl. The bride is a graduate of Edison High School and Eastern Gateway Community College where she received her associate of arts degree. She is pursuing a degree in nursing. 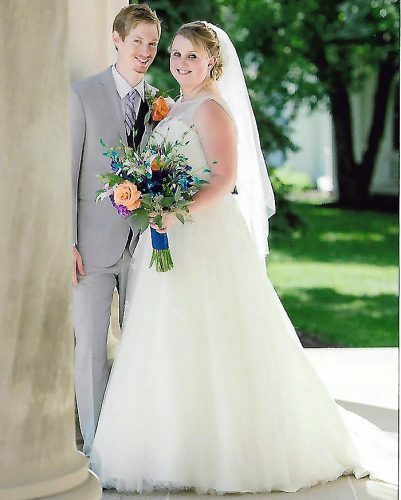 The groom is a graduate of Edison High School and Youngstown State University where he received his associate of technical study degree in power plant technology. He is employed with Buckeye Mechanical as a union pipefitter. The couple reside in Richmond.